Instant Loyalty Promotions are designed to create excitement and media hype, and attract new and existing customers to stores – in particular, households with children. They are retail programs in which customers get an instant reward based on the amount they spend. Together with BrandLoyalty, we always strive for solutions that add real value to both the retailer and consumers’ lives. Our concepts range from traditional to innovative, from licensed to exclusive, and from pure entertainment to meaningful and educational. Our licenses include Disney, PIXAR, Marvel, Star Wars, Smurfs, Stikeez, Tokidoki, Jamie Oliver and more. We enhanced BrandLoyalty’s Fruit and Veggies Stikeez campaign with a fun game that increased collectability, while teaching kids about the origins and growing styles of fruits and veggies. The campaign was a great success. Children from more than ten countries in Europe played and loved the game and returned to stores to collect free digital gifts. We created a dynamic digital solution where customers could try to catch all of the Smurf Stikeez in stores through augmented reality – finding out about the Smurfs’ personalities along the way. A Smurfy camera with fun photo filters and a mushroom mini game led to an all-round concept, which created a hype for the physical Smurf Stikeez. 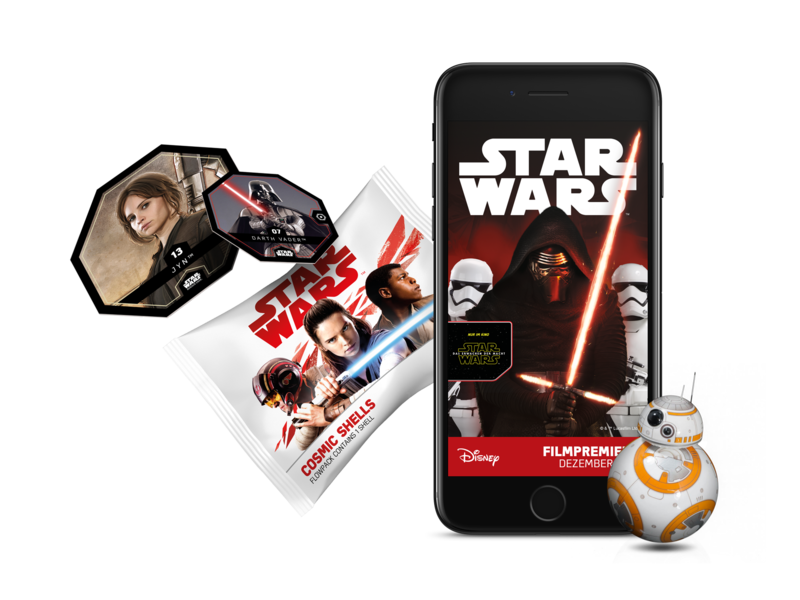 IceMobile and BrandLoyalty worked together to create excitement and hype around the Star Wars movie releases, bringing users into stores to collect MicroPops or Cosmic Shells and see their favorite Star Wars characters come to life. Consumers could download the app to see life size Storm Troopers in augmented reality and watch virtual reality movies on their exclusive Star Wars cardboard goggles.